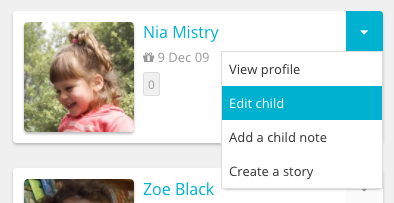 If a child already has a Storypark profile that was started at another service you can continue adding to their existing profile when they join your service. 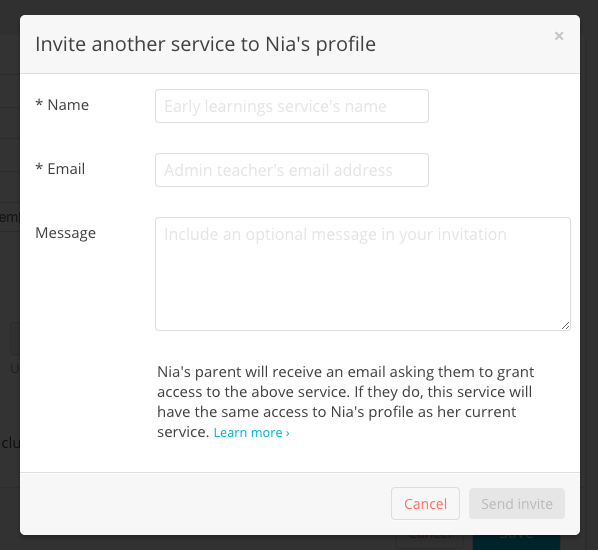 Once invited, you will receive an invitation via email and the child will be added to your service. Before a child heads to another early learning service or to school, you can invite their future teachers to Storypark so they can share the child’s learning journey. Both services will then be able to see all of the child's individual stories and notes, but neither service will be able to access the other service's group stories (stories with other children tagged in them), community posts, planning or other service information. You can turn this setting off if you prefer – learn how here. To invite another service you'll need to be an Admin (this article explains how to make a teacher an Admin). 1. Click on the menu at the top of the page. 2. Click the ‘Children’ link under your early learning service's name. 3. Find the child who you’d like to edit or remove. 7. The child's parent will receive an email asking if they agree to grant access to the new service. 8. If they agree, the new service will receive an email invitation to Storypark. 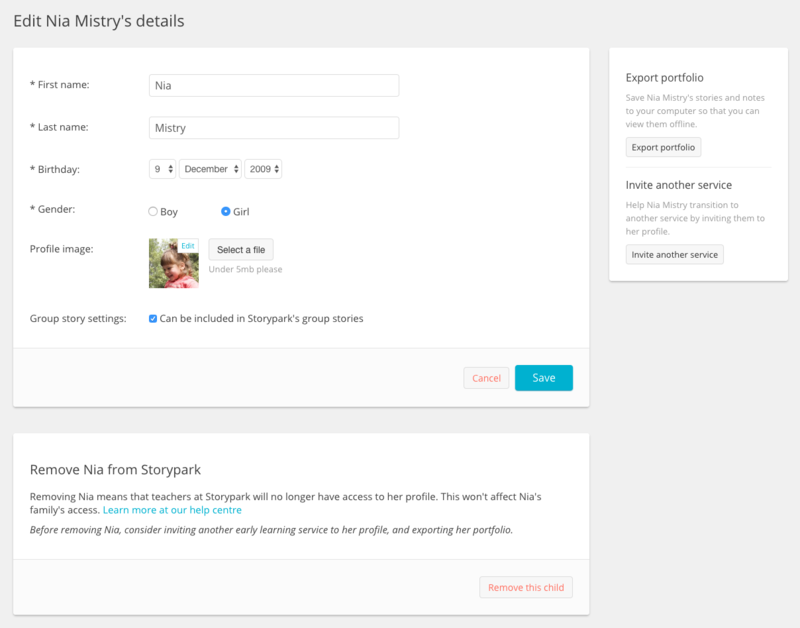 If the new service accepts your invite they’ll have the same access to the child’s profile as your early learning service and be able to contribute to the child’s learning journey within Storypark. Once you are happy the child has transitioned to the new service you can simply remove them from your account. Those children’s stories won't be deleted, you simply won’t have access to them anymore. After they’ve been remove from your account, parents, family members and the newly invited service will still be able to access those children’s profiles and stories.